*Arrival times may vary depending on the actual stops of your shuttle. Superior shuttles, superior transportation cleanliness and schedule, and superior service, from the downtown Fort Lauderdale and Fort Lauderdale Airport hotels to the Port of Miami Cruise Terminal, with a simple and pleasant interface and inexpensive rates. Many customers initially worry over the space availability. Don’t be concerned. We have you covered. If you have a reservation for 3 seats in our shuttle, it wouldn’t matter that there were 10,000 people waiting to get into the shuttle. You have 3 seats. Your reservation is confirmed with your space guaranteed as soon as the reservation is booked and paid, just make sure to book your service at your soonest convenience once you have your itinerary is set. Another common concern is being able to connect with the right shuttle in place where thousands of people are getting into transportation vehicles. Again, there is no need to worry. We have you covered. Coordinating with your driver should be as natural and fluid as working with a family member to meet for lunch. Our phones are open at any time, and our driver will be in touch with you personally prior to arrival on the day of your pick up, to ensure final coordination details. You could even be on the phone with our driver as you look onto the curbside if you wish. 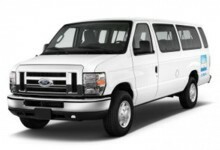 Booking your shuttle service is only two easy steps away. Just complete our online booking information questionnaire, and confirm the schedule with a Metro Shuttle representative, or place a single phone call and consult a Metro Shuttle professional on our availability and timing recommendations, and obtain your confirmation that way. Per our Payment Policy, refunds are allowed with at least 72 hours advance notice from your scheduled initial service. As always, please feel free to call us with any questions or concerns. Per Person rate is valid only with a reservation, and is based on the number of people on a single reservation, not the number of people aboard the shuttle. *Groups over 12 Passengers, please call for availability, and special accomodations. **Minimum 2 Passengers required for shuttle services to the Port of Miami Cruise Ship Terminal. Take advantage of our Round Trip Promotion, and save 20% on your return shuttle service segment. Make sure you reserve your space before it is gone!